Our Terms and Conditions allow the below Lesson Plan and Worksheets to be used for immediate family, home use ONLY. Thank you for your honesty. For the last fifteen weeks we have been learning what is looks like to be a follower of Jesus, a Christian. With the help of the Holy Spirit, our attitude and "bee"havior should be like His. Each week, the child filled out the "Bee" Attitude printable. To complete this unit, combine the finished bee hives to create a book. Use the "Bee" Having an Attitude Like Jesus printable for the cover of the book. Color the hive and bees, cut out and glue on a large piece of construction paper. Discuss various character traits learned during the past seventeen weeks. Focus on the positive and negative aspects of each. Place a pointy ice cream cone (sugar cone) upside down on a plate. 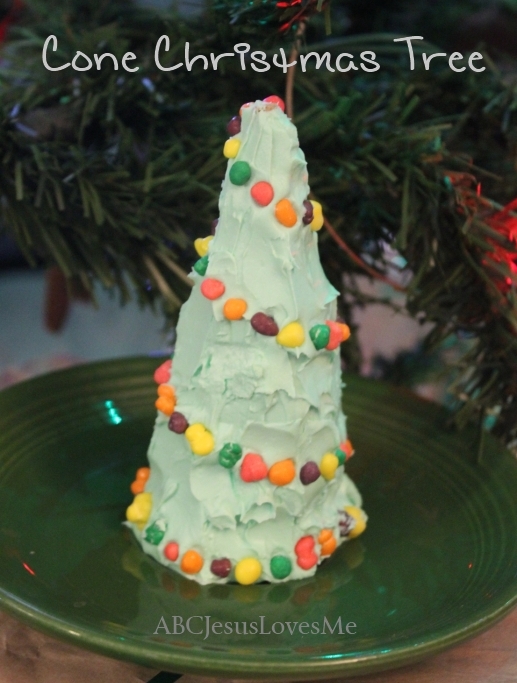 Frost and decorate with assorted candies. Discuss colors, spatial concepts, and sorting during the project. Turn into a Christmas tree if desired. On several pieces of paper write the number 0-10. Lay the pieces of paper on the floor. Throw a bean bag at the papers and jump up and down representing the number it lands on. Then spread the numbers farther apart and have the child run to the number called. This page may contain affiliate links. Please read our disclosure policy. ABCJesusLovesMe provides materials to help adults be intentional with the children in their lives. At its core are five comprehensive, research-based curricula for ages 1-5 that focus on academics, development, and Bible learning through play. Also available is a Sunday School Curriculum to teach children who God is through stories in the Bible. Beyond this we offer various Unit Studies, Digital Downloads, the Be Intentional Planner, and practical tips to guide parents and teachers.